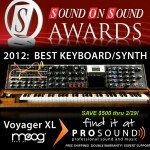 Moog’s Voyager XL Awarded As SOS Magazine’s Best Keyboard/Synth of 2012 = Big, Celebratory Savings for YOU! 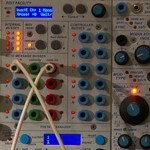 $500 off the Moog Minimoog Voyager XL through February 29th, 2012! 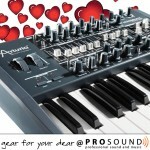 Special savings as it won Sound On Sound magazine’s Best Synth/Keyboard of 2011! 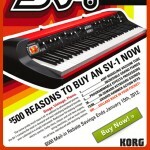 $500 off Korg’s Stage Vintage Series SV-1 73 or SV-1 88 (w/ Free Shipping & Double Warranty)! 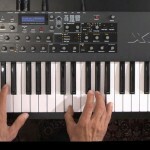 Not only are we offering free shipping and double warranty* on Korg’s SV-1 73 & 88 synthesizers, but as an added bonus there is a $500 dollar rebate, so you can have a little something special left over for the stocking stuffers. Subscribe to our Facebook or Twitter and receive up do an additional $350 off!